Rome and Naples are two of Italy's most visited cities. A lot of tourists include both cities in one trip since it's easy to reach one city from the other. In fact, if you take a fast train it's possible to visit Naples as a day trip from Rome and vice versa. That said, both cities invite staying for several days or more, since there's so much to explore in each place. Here are the best options for traveling between Rome and Naples. To get from Roma Termini, Rome's main train station, to Napoli Centrale, the biggest station in Naples, there are several options. Trains run directly between the two stations so most trains don't require a change at another stop. Trains run from early morning until late at night, but be sure to check current schedules. Here are options for trains on Trenitalia, Italy's national train service, between Rome and Naples. Regionale - the slowest and least expensive trains take nearly three hours. Some trains have only second class and regionale trains do not have reserved seats. IC - Intercity trains take about two hours. They have first- and second-class compartments and reserved seating. Cost is almost double the cheapest regionale fare but since trains can be crowded, having a seat reservation is a good idea. Frecce - The frecciarossa, frecciargento, and frecciabianca trains are the fastest trains. They take less than two hours (some just over an hour), have first and second class compartments, and seat reservations are mandatory. They are also the most expensive option but if you buy tickets online in advance you can often get a discount. You can also check schedules and ticket prices on the Trenitalia website. Trains on the private high-speed rail line, Italo, go from Rome's Termini and Tibertina stations to Naples central station. Buy Italo train tickets through Select Italy. It's probably not practical to try to drive if you're visiting either city for the first time, especially for American tourists. The traffic patterns are a lot different (and faster) than most American drivers are used to. 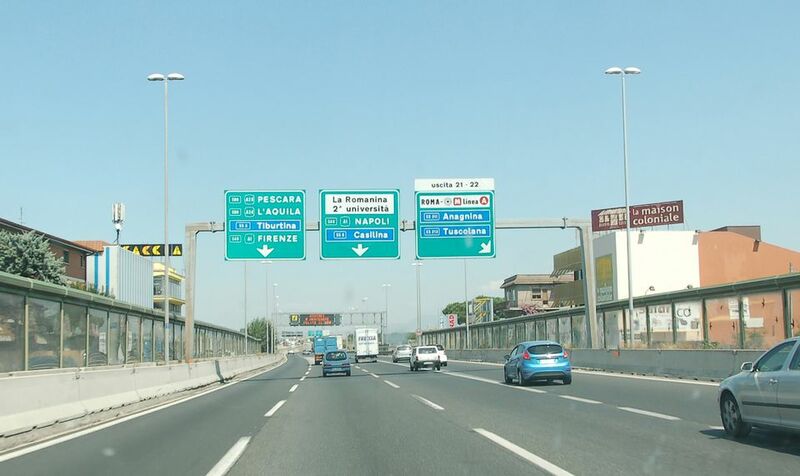 But if you're feeling confident, Rome and Naples are connected by the A1 autostrada, which is a fast toll road. The drive takes a little over two hours if there's no traffic. If you have plenty of time, you could also take the coast option, visiting towns such as Anzio, Gaeta, and Formia along the way. Both cities have airports but if you're going from city center to city center it wouldn't make sense to fly. However, if you're flying into the Rome airport and want to go directly to Naples, connecting to Naples through Rome is probably be the easiest option.